The fast-pitch softball bat is primarily used for fast-pitching style of softball games. 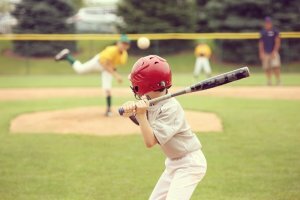 While men and women, young or old can use this bat to play fast-pitch type of game in almost all parts of the world, choosing the right equipment for the job is not an easy task. But finding the “right one” could be as easy as tying your shoe laces. 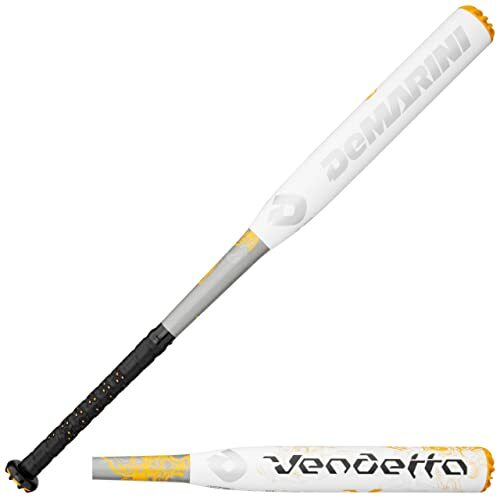 For one, the DeMarini Vendetta Fastpitch Softball Bat is described as one of the best fast-pitch softball bat there is. With its ergonomic design crafted by one of the finest in the industry (DeMarini), it outclassed many competitors on this matter. 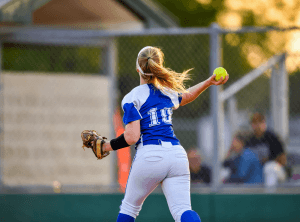 A fast-pitch softball is common among softball games fanatics. 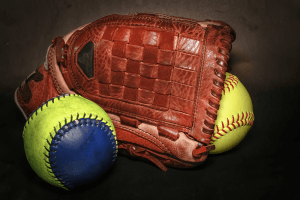 It is one kind of pitching styles played both by men and women in international and local leagues. Fast-pitch softball is the most competitive of these types. Playing this type of softball game naturally requires a fast-pitch bat. 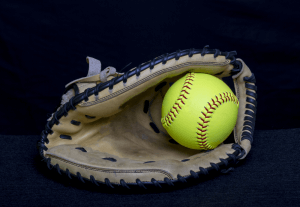 One of the most common equipment used for this softball game is the DeMarini Vendetta Fastpitch Softball Bat and among one of the most popularly used in international games. High School and College softball competitions around the globe also prefer this bat whether for domestic or international games. In the United States, this DeMarini produced softball bat is currently in use and approved as official equipment by various associations such as ASA, USSSA, NSA, ISA and ISF. No wonder that it is one of the leading brands across the United States. As certified by ASA (Amateur Softball Association), the product is made from composite aluminum alloy and is virtually rust and corrosion-free prolonging its life although using it frequently. The alloy is cold-rolled and pressed to achieve the best results. Its barrel is constructed in uniform weight distribution and its end cap is tightly and seamlessly sealed. The handle and grip is shaped to hold the bat in a perfect manner. The grip is slip-free making hitters to aim for the ball conveniently. The composite construction of the bat conforms to ASA’s Non-linear Bat Compression Thresholds (NBCT) Testing and Certification. This certification could be found on the association’s website which was updated on Oct. 7, 2015. Composite materials are primarily fibers of more than one material bonded together chemically to produce stronger and lighter material. 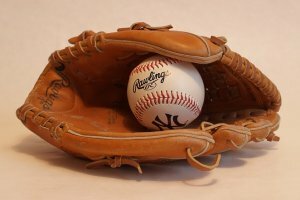 The synchronized stiffness of its barrel returns the ball impact to it. As previously stated, the product is classified as a composite type of equipment primarily suitable for use in international and domestic competitions worldwide. Its various certifications speak or itself. The bat’s handle and grip is a 2-piece clench designed for easy tack and perfect grasping. The handle and grip is reinforced with non-slip grip rubber and waterproof (especially hand perspiration). The knob is secured also by durable rubber with the weight and length ratio printed on its base for easy identification. To extend further the life of the bat, it is equipped with a numerical system called “Rotation Index” wherein a player is reminded to rotate the bat occasionally. This feature does not only extend the life of the bat but also increased farther the reach of the ball upon strike. The product is certified by the USSSA (United States Specialty Sports Association) to have a BPF (Bat Performance Factor) rating of 1.20. Standard rating of 1.15 is usually used to describe the strength and the trampoline-like effect (or spring like) in reference with the solid wooden bat. While this product is certified to have a rating of 1.20, where the higher the number represents a higher quality, it falls that this bat is superior to a solid wooden bat in terms of flexibility (the spring effect). 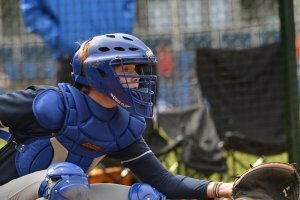 Boasting of various features and certifications, the product is currently the craze in the softball competitions. Its awesome features outperform any other brand in its class. While the striking power of this type of bat is strikingly farther, proper equipment really counts to farther swings. The hitter is better “armed” when using this amazing fast-pitch softball bat than ordinary kind of bat. Its drop conforms to the existing protocols on the industry which make users outperforms their competitors who use inferior class of bat. One of its best features is the bat’s ability to be handled by any one, whether young or old.